Preventative dental care can not only save you from the pain of a toothache, but it can also save you a lot of money. After all, a full mouth reconstruction can cost tens of thousands of dollars, and the Center for Disease Control reports that 164 million work hours are missed each year due to oral health problems and dental visits. Doesn't it just make sense to take good care of your teeth and gums from the outset? Obviously, the regular, daily care of your teeth through brushing and flossing is the first step to preventing dental complications. You can also watch your diet to ensure you get plenty of lean proteins to build and protect tooth enamel; fruits, nuts, and veggies to help with cleaning; and dairy for calcium and protein. 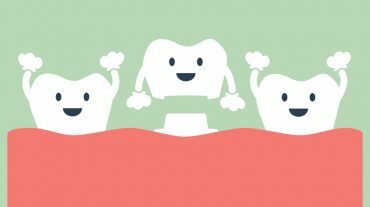 Things to limit or totally avoid are sugars, which cause tooth decay; starches in foods that break down into sugars inside the mouth; and tobacco products that contain sugars, stain teeth, and damage oral tissues. Every dentist recommends regular cleanings. Regardless of how often you brush and floss, tartar still builds and plaque will still form, especially below the gumline in areas you cannot reach with brushing and flossing. Having these removed regularly by a dental professional goes a long way to prevent bone loss and periodontal disease. Yet beyond these regular measures, there are other preventative dental care services that help to stimulate the health of your mouth while saving you money in the long run. Teeth polishing – Beyond the plaque and stain removal that comes with regular prophylactic treatment, many of our clients like the sensation and extra sparkle of professionally polished teeth. Polishing makes it more difficult for plaque to build, providing a cleaner, healthier smile. Remineralizing/fluoridating varnish – After a cleaning, another helpful assist for clean and healthy teeth is a fluoride varnish. While fluoride is now in our drinking water to help strengthen teeth and prevent tooth decay, it can also be applied in a biologically acceptable form to be incorporated into the minerals of the teeth for better protection. Applied by a dental professional, the varnish will remain on your teeth for several hours, helping to prevent decay, strengthen tooth structure, remineralize the tooth surface, and treat hypersensitivity. Sealants – Sometimes a tooth's inherent structure can make it more prone to plaque and tooth decay. While teeth naturally have fissures and pits, they can make for an easy spot for bacteria to develop and decay to begin. Especially in children, it's helpful to apply a sealant to these spots when they are found to avoid further damage to the tooth, and create a smoother surface that's easier to clean. Mouthguards – For those with parafunctional habits, such as bruxism, one of best preventative measures is to wear a mouthguard or occlusal splint. Custom-fitted to a patient's teeth, they separate the jaw slightly during sleep. They are known to protect teeth from grinding, prevent tooth fractures, and reduce symptoms of TMJ. Patient education – One of the best preventative measures is a good education. People who know the consequences of poor dental care are much more likely to practice good habits, and people who know the benefits of good dental health are much more likely to pursue it. At Dr. Chirillo's practice, we strive to educate our clients, both in appointments and through our website, on what's going to make their smile the best it can be. If you'd like to find out more about any of these services to have a healthier mouth and save money in the long run, please contact us today to set up your next appointment. 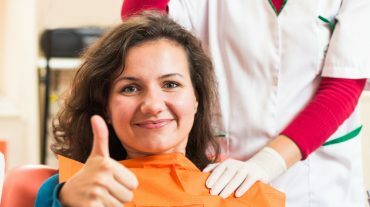 How Do People Get Dental Care Without Insurance? Looking for a New Dentist? 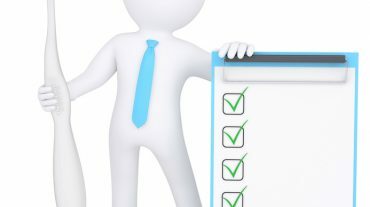 Use This Checklist to Find the Best!